To find a projector lamp or TV lamp on Lampsexpress.com.au just takes two easy steps. Step 1: Locate the 'Get your projector lamp price now' search tool located on the home page of our website. In the drop-down box called 'Select Projector Manufacturer' simply select the manufacturer of your projector or TV. For example if you have an Epson projector select 'Epson', or if you have a SONY TV then select 'SONY'. Step 2: After selecting your projector / TV manufacturer in Step 1 you will then see all the relevant projector/TV models listed in the drop-down box called “Select Projector / TV Model”. Simply select the model of your projector or TV from the drop-down list. For example if you have an Epson EH-TW3600 projector simply select “EH-TW3600” from the drop-down. You will then be shown the price of the lamp to suit your projector. By clicking the 'More Info & Order' link you can see more information about the lamp and, if required, submit an order. General Search: As an alternative, below the drop down boxes in the centre of our website there is a search bar. Please type in any projector lamp code or projector model to search our website for the required lamp. Please be aware that as many codes are very complicated (including dashes, dots, and spaces) you may not always get a result. If you do not get a result please use the menu and search manually or contact us so we can check for you. Let us do the hard work: Our projector lamp staff are happy to help you find your projector lamp or TV lamp. They are available Monday to Friday 9am to 5:30pm AEST. 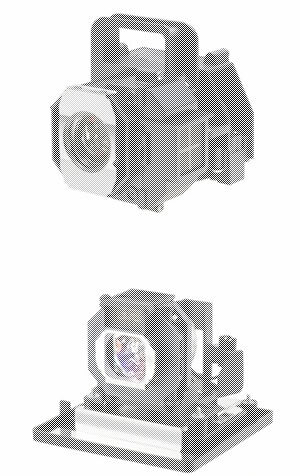 You can call us on 1300 739 131 and we will help you find your projector lamp. You can also email us at sales@gmmultimedia.com.au .